– Kids Solidify First Grade Math Skills with addition and subtraction from 0-9, comparing numbers (greater than, less than, equal to) and learning odds and evens. 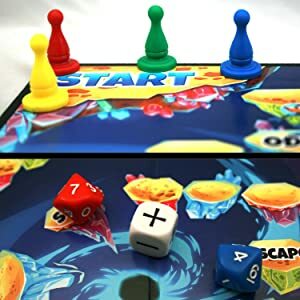 – You Decide – Classic or Co-op rules lets your kids compete in a race to the finish or work together toward a common goal. 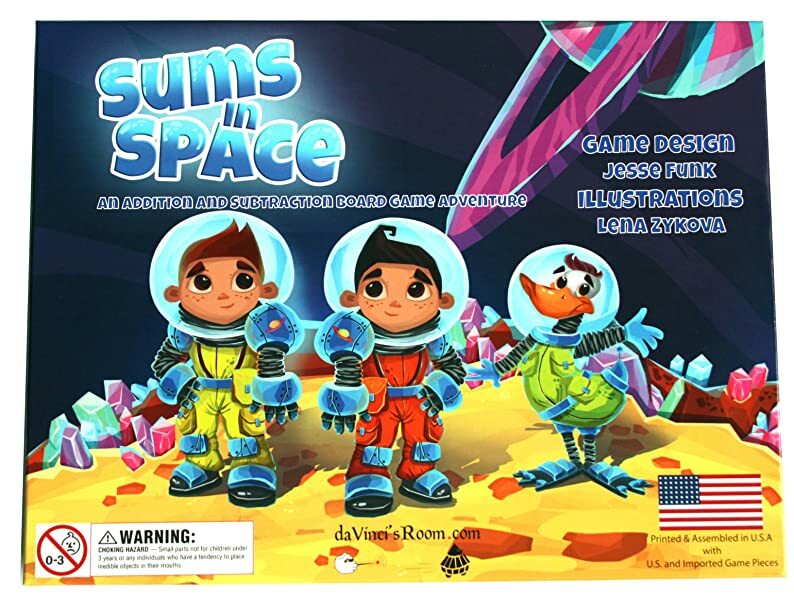 Set in the future where space mining is commonplace and even ducks can be heroes, Sums in Space is a chance to adventure into the far reaches of the universe and put your new math skills to the test. Deep in space, your team is on the hunt for the shiniest space crystals around. All of the sudden, a black hole has formed on the horizon and is breaking apart the planet. It’s time to use your math skills to escape this planet and head back home. Use the dice to improve your math skills by adding and subtracting 0-9 and get back to the ship as fast as you can. Part of your team is here to help you get back to the ship quickly. 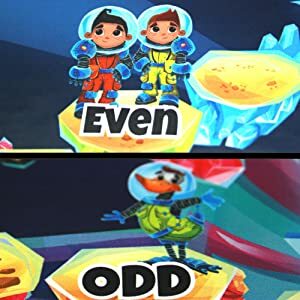 Meet: The Even Stevens Twins and your heroic leader Captain Odd Duck. When you reach either one of these helpful spots, you get to roll a die one more time. Matching that space’s objective (even or odds) will jump you forward, closer to the rocket ship and the finish. During Cooperative Play: It’s a Race Against Time! When everyone is playing together to get all the astronauts back to the ship on time, it’s a race against time to add and subtract your way to safety. 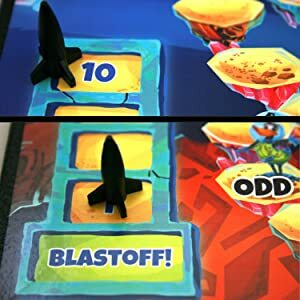 Every time you roll a 0, the rocket ship countdown ticks down one space, moving you closer to the possibility of blastoff. Can you master addition and subtraction in time to get your crew out? 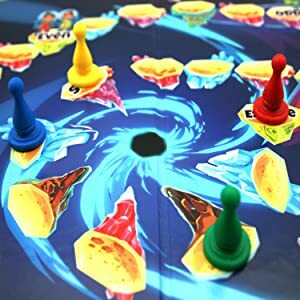 You’re almost back to the ship, but first you have to get past the one thing that caused this whole catastrophe to begin with, the black hole. Keep working and you’ll always keep moving forward, but rolling 10 or higher let’s you jump to lightspeed and escape the black hole to safety. Only a few more steps and you’re back to the ship.